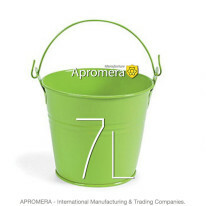 We manufacture, stock and sell at wholesale prices a wide range of.Coloured Galvanized Metal Buckets or Pails with a capacity of 5L, 7L, 10L, 12L, 15L, 25L, 32 Liters coming with a carry handle. 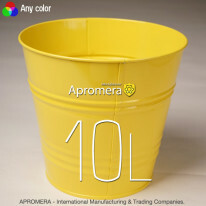 Painted Tin Pails with a Ø 5mm diameter handle in various colours are ideal for planters, household cleaning, floral arrangements, gift packaging. 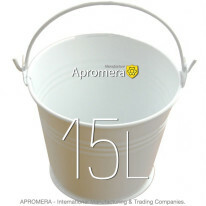 These pails are sure to become part of the unique but affordable home decoration. 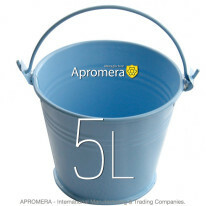 Coloured Galvanized Metal Buckets are highly popular with wholesale customers from the UK (Britain), Germany, Spain, France, Sweden and many other countries. 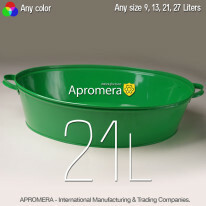 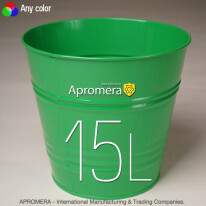 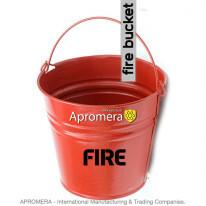 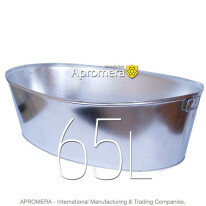 Apromera-produced Powder Coat Tin Pails are high-quality products made from expensive materials meant to satisfy the needs of the world market and those of international clients. 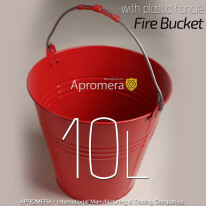 For payment and cooperation details please refer to Wholesale Terms.